Orange County Library Events September 2018 – The Orange County Library recognizes Hispanic Heritage month in September, plus Harry Potter week and more. This September, visit the Orange County Library System as we celebrate Hispanic Heritage Month. Stop by the South Trail branch on September 19 for Mexican Folk Art. Here tweens and teens can create their very own craft honoring Mexican Independence Day. Then on September 29 the Alafaya branch hosts Cuisine Corner Junior: Latin Flavors where young ones can learn how to prepare easy-to-make snacks. Enter the magical world of Harry Potter at the Alafaya branch from September 30 to October 6. Come and learn how to brew potions, fight against Dark Wizards, make wizard crafts and more. The fun begins on September 30 during Welcome to Diagon Alley where you can make a quill and pick your own owl. Tuesday, September 4, 10:30 a.m.
Monday, September 17, 10:30 a.m.
Thursday, September 20, 2 p.m.
Thursday, September 27, 11 a.m.
Tuesday, September 4, 3:15 p.m.
Tuesday, September 4, 5 p.m.
Saturday, September 8, 2 p.m.
Wednesday, September 12, 4:30 p.m.
Southeast Branch, 5575 S. Semoran Blvd. Tuesday, September 18, 5 p.m.
Tuesday, September 25, 6:30 p.m.
Wednesday, September 5, 4:30 p.m.
Thursday, September 13, 4:30 p.m.
Saturday, September 15, 2:30 p.m.
Monday, September 17, 5 p.m.
Friday, September 21, 4 p.m.
Saturday, September 22, 2:30 p.m.
Saturday, September 29, 11 a.m.–4 p.m.
Saturday, September 29, 11 a.m.
Can you discover all of the clues hidden by the crazy librarian? Use your best detective skills to find the hidden treasure! Recommended for upper elementary. Saturday, September 8, 11:30 a.m.
Saturday, September 22, 11:30 a.m. Ever dreamed of making your own video game? Now you can with The Games Factory 2, which provides everything you need to create cool computer games. Ages 13–17. Friday, September 7, 11 a.m.
It’s time for an introduction to yoga with zoo animals and friends! Learn fun movements as you go on a wild and magical journey full of movement and stories. Comfortable clothing is encouraged and mats are welcomed. Recommended for preschoolers. Saturday, September 22, 10:30 a.m.
Saturday, September 29, 2:30 p.m. Paint and create a masterpiece to honor our veterans. Spend time painting with a local veteran and learn about their time serving our country. Registration required. Ages 6 and up. Monday, September 10, 4:30 p.m.
Tuesday, September 18, 6:30 p.m. Kids, join us for a fun Maya & Miguel celebration! Activities, crafts and culture await you at this program that will prove to be “muy fabuloso.” Recommended for lower and upper elementary. Monday, September 17, 1 p.m.
Go back in time to the days of dinosaurs and learn about these amazing beasts through stories and hands-on activities. Recommended for lower elementary. Wednesday, September 19, 4:30 p.m.
Saturday, September 22, 11 a.m.
Monday, September 24, 4:30 p.m.
Tuesday, September 25, 4 p.m. Celebrate Mexican Independence Day and the start of Hispanic Heritage Month by creating your own craft honoring Mexican folk art. Recommended for tweens and teens. Thursday, September 27, 10:15 a.m.
Friday, September 28, 11 a.m.
You’re never too young to start in the kitchen! Bring your little one to learn cooking skills such as kitchen safety, layering, measuring, smearing, tasting and presentation as you interact with a delicious recipe. This class is a “Mommy or Daddy and me” event. Registration required. Recommended for preschoolers. Saturday, September 29, 11:30 a.m. Enjoy easy-to-make snacks to celebrate Hispanic Heritage Month! Ages 8–18. Registration required. Saturday, September 29, 3 p.m.
Take a trip to Diagon Alley for all your school supplies. Make a quill, pick your owl and gather your school textbooks. Compete against your fellow wizards to see if you can make it out of the maze. 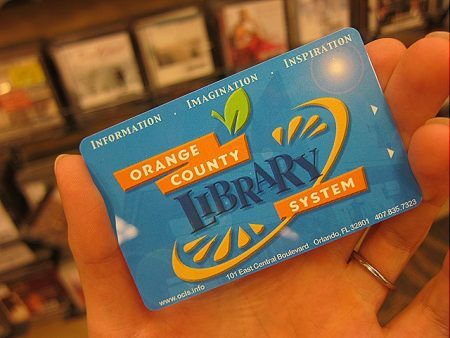 Disclaimer: This Orange County Library Events September 2018 event is subject to last minute cancellations and changes which might not be reflected in this MyCentralFloridaFamily.com post. Please always confirm with this family-friendly business by calling or clicking.